Early summer I decided to stitch three pieces for this fall as I have very little fall colors in my finished embroidered pieces. This week I finished the first piece, my Grevillea Brazilian embroidery and this is the second. 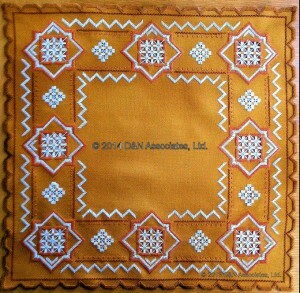 My third will be a Victoria Sampler multi-stitch design call the Pumpkin Patch. This hardanger is a Permin of Copenhagen design, I mostly adhered to the design but did switch out and add here and there. 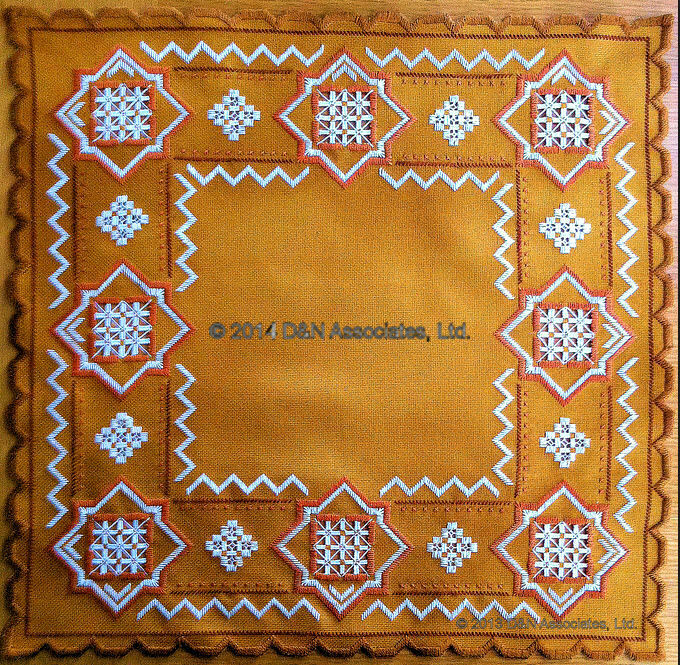 The finished size is 40 cm square, the fabric I used is a 22 count in color named Tobacco. Threads used: DMC size 8 Perle cotton color 300 (Mahogany Very Dark), 300 (Mahogany Medium), and white. DMC size 12 Perle cotton white was used in the needle weaving and dove eye stitches.